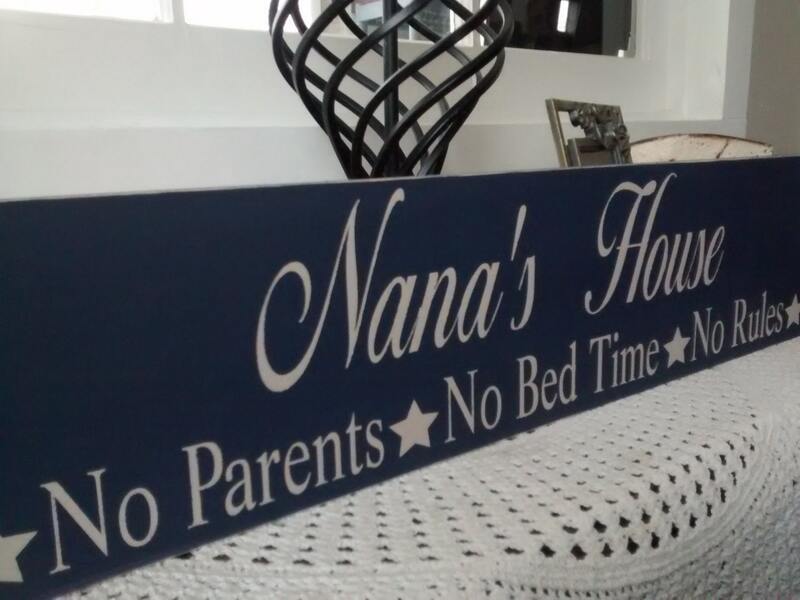 The perfect Christmas gift our Grandparents Personalized Gift, House Rules.... No Parents-No Bed Time-No Rules"
Please specify names in comment box when ordering. 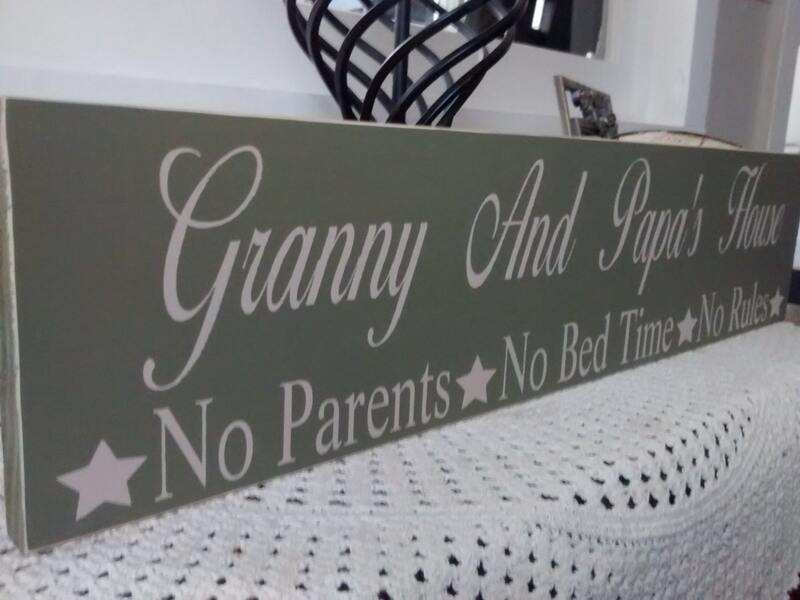 This is one of our best sellers, it make a great gift for parents, grandparents in your life. Yes, the perfect gift that can be used year round. Here's a suggestion for an inexpensive gift, add a picture in a frame of the grand children, wow it can be done for under $25.00. 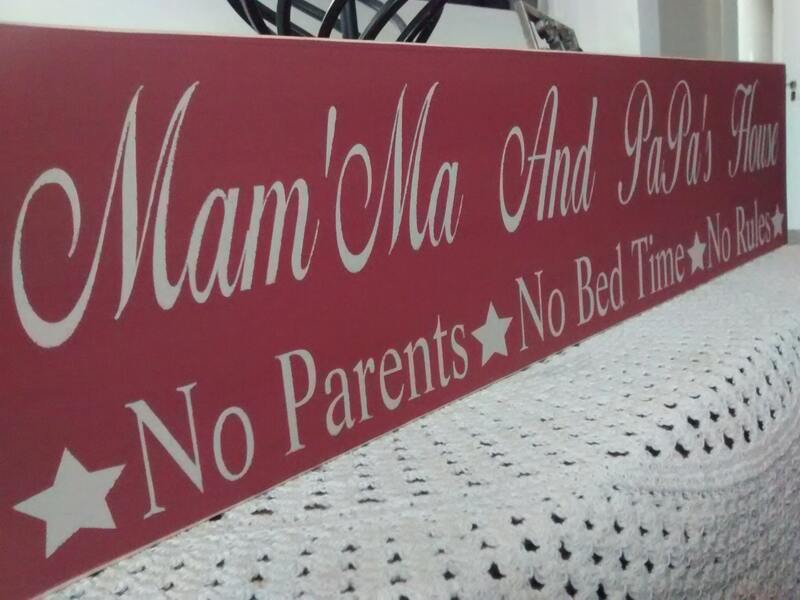 We do not paint the back of the boards, it saves money and time and that savings is passed onto you..
Our signs are hand made out of solid wood, hand painted, we do not use vinyl lettering and each sign has a saw tooth hook for easy hanging. 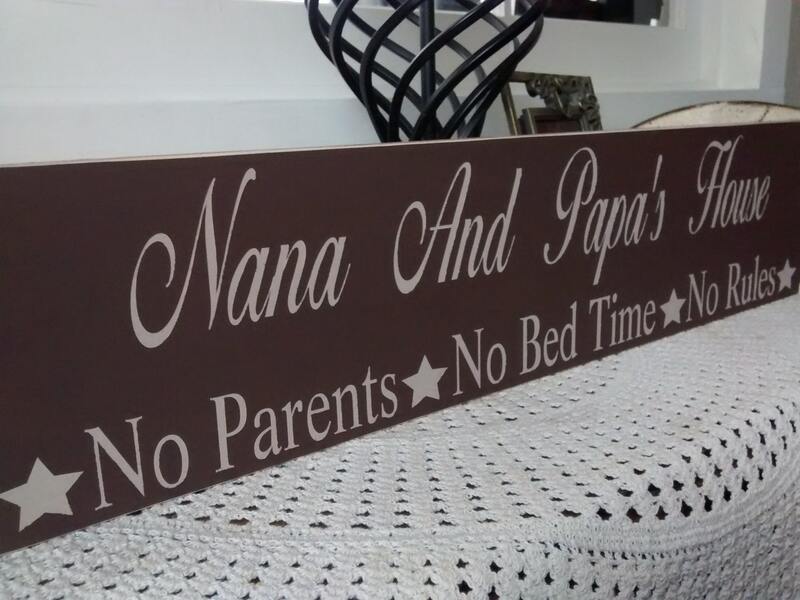 Don't forget the other set of grandparents, we have several signs that can be personalized and if you order more than one sign your second, third or fourth sign will ship for additional cost of 3.25 each. Thanks for stopping by, have a wonderful holiday season. Amazing well made sign!! Will order from this shop again!